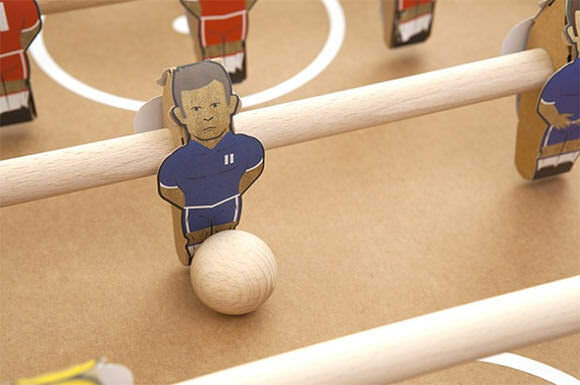 Soccer fans delight—modern toy designers are also passionate about one of the world’s most popular games and seem to be getting a kick out of designing fun footy products for you! 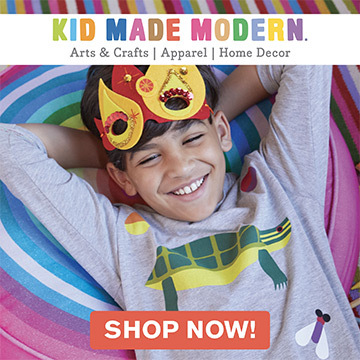 A number of smart playthings have caught my eye recently, and I have to admit that I’m tempted to add at least one of them to my kids’ birthday gift bookmarks. Score! Available for $320.00 from Fredericks & Mae. Fredericks & Mae are among my all-time favorite toy designers. 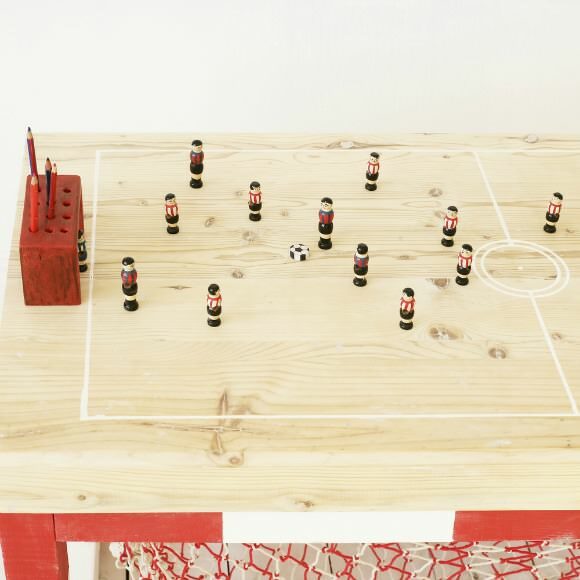 Their graphic interpretation of the tabletop association football game biliardino is crafted from Baltic birch and decorated with inks. 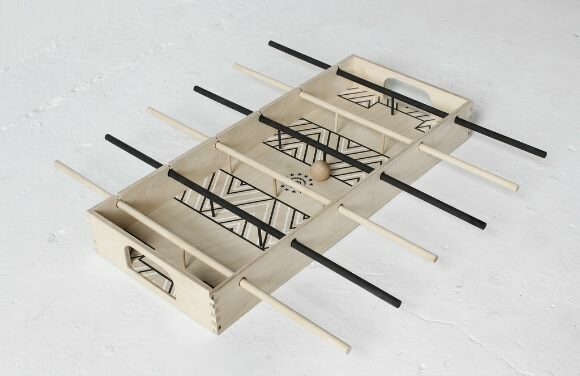 The set is just one of the beautiful toys in the War Games collection and includes one silkscreened game tray, six removable playing sticks and a ball (replacements available upon request). 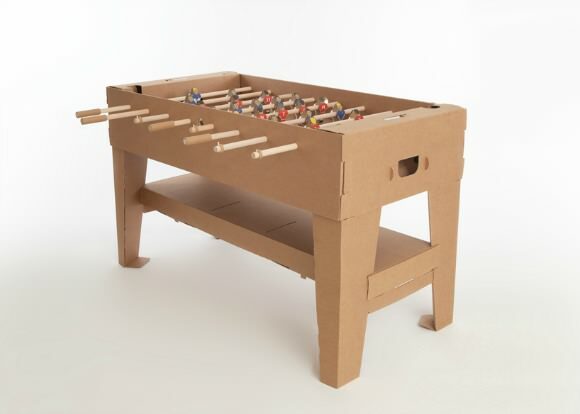 Definitely for play and display. Available from $55 at Kartoni. 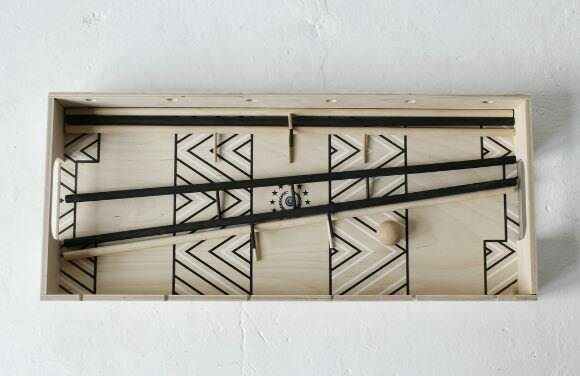 Available for $858 by XO In My Room. Now available in black & white or red & white, JAN has to be every young soccer fan’s dream! Each table is made entirely by hand using reclaimed wood and natural, eco-friendly products in a small workshop in Spain. 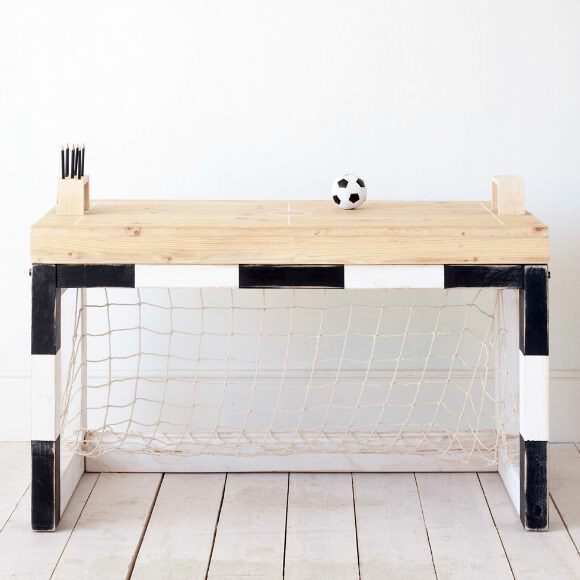 I love this fun, modern-looking desk, which doubles up as a goal post and tabletop soccer game (wooden players not included). 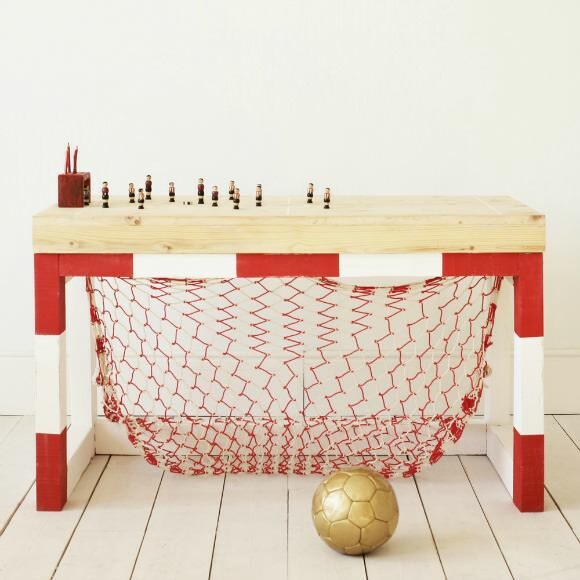 This would make a fantastic feature in any sports lovers’ room.